Objective: To explore the effect of gibberellic acid (GA3) and its inhibitor paclobutrazol (PBZ) on chemical composition and their pharmacological effects on Andrographis paniculata (Burm. f.) Wall. ex Nees, and to clarify action mode of andrographolide. Methods: The chemical composition was extracted by sequential extraction with hexane, dichloromethane, ethyl acetate and methanol, respectively. Andrographolide and its derivatives were evaluated by HPLC. 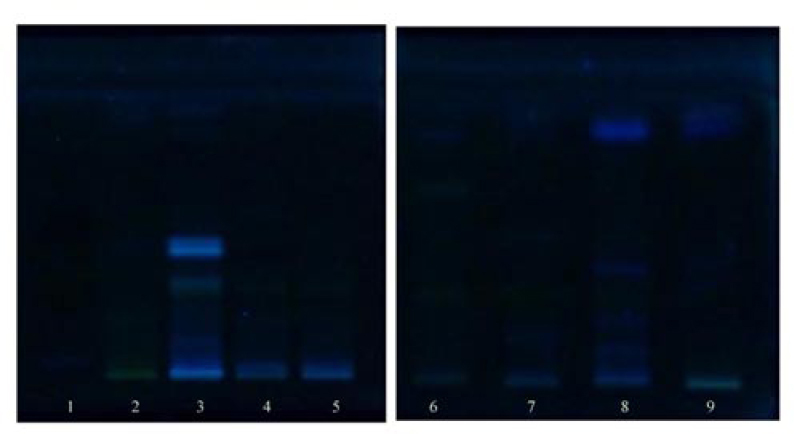 Moreover, the metabolic profiling was analyzed by GC-MS. Inhibitory effect of crude extracts was tested against Staphylococcus aureus using agar well diffusion method. Mode of action was tested against mutant yeast by spotting assay. Andrographolide were tested for their mode of action against eukaryotes. Results: Among different solvents, dichloromethane gave the highest yield of crude (3.58% DW), with the highest andrographolide content (8.3 mg/g DW). The effect of plant hormone (10 mg/L GA3 or PBZ) on phytochemical variations and bioactivity of Andrographis paniculata was demonstrated. 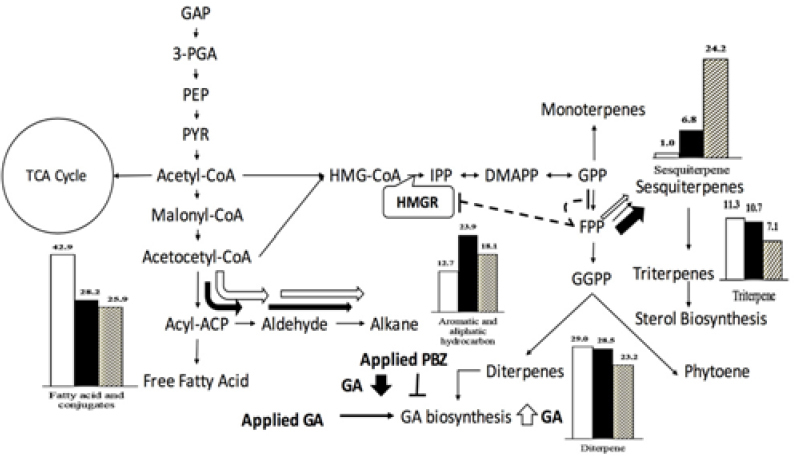 It was found that PBZ promoted sesquiterpene compounds about 3.5 times over than GA3 treatment. But inhibitory effect of extracts against Staphylococcus aureus was highest in GA3 treated plants; andrographolide and 14-deoxy-11,12-didehydroandrographolide contents were significantly higher than those of water or PBZ. It was found that there were 11 strains involving in ergosterol biosynthesis, V-ATPase activity and homeostasis, and superoxide detoxification process. In this regard, andrographolide might cause the damage on the lipid bilayer of yeast cell and plasma membrane by interfering ergosterol biosynthesis. Conclusions: It is found that GA3 promotes andrographolide and 14-deoxy-11,12-didehydroandrographolide content while PBZ promotes sesquiterpene content. Andrographolide might cause the damage on the lipid bilayer of yeast cell and plasma membrane by interfering ergosterol biosynthesis. It might also affect mitochondria electron transport chain, leading to the occurrence of ROS, which can further harm cell organelles. However, the library screening is the first step to investigate mode of action of andrographolide. 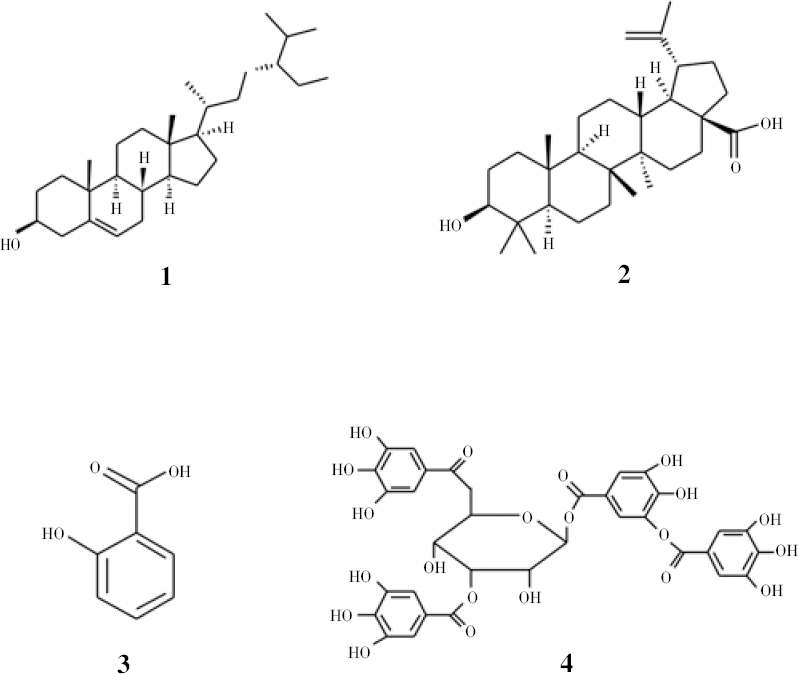 Objective: To evaluate the antiplasmodial activity of aqueous-methanolic plant extracts of nine plant species selected, based on ethnobotanical data. Methods: Based on ethnobotanical database, the selected plants were tested for their antiplasmodial activity against chloroquine-sensitive (3D7) strain of Plasmodium falciparum. Qualitative tests and high performance thin layer chromatography analysis were carried out to explore the phytocomponents present in the plant extracts. 1,1-diphenyl-2-picrylhydrazyl antioxidant activity was also determined to check the antioxidant activity of the plant extracts. Results: Moringa oleifera (IC50: 3.906 μg/mL), Acalypha indica (IC50: 3.906 μg/mL), Hyptis suaveolens (IC50: 3.906 μg/mL), Mangifera indica (IC50: 4.150 μg/mL) and Averrhoa bilimbi (IC50: 4.881 μg/mL) showed very good antiplasmodial activity. Conclusions: Crude extracts of Mangifera indica and Hyptis suaveolens demonstrated the most efficacious antimalarial activity. A bioassay-guided fractionation of these extracts to identify the lead compound is proved to be useful. The results validate the traditional use of the selected plants as antimalarials. Objective: To evaluate the efficacy of Thai herbal shampoos [Cartoxylum formosum (C. formosum) + eucalyptus essential oil (EO), C. formosum + citrus EO, Solanum trilobatum + eucalyptus EO, Solanum trilobatum + citrus EO, Moringa oleifera + eucalyptus EO and Moringa oleifera + citrus EO] for killing all stages of Pediculus humanus capitis (Phthiraptera). 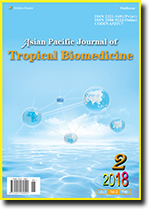 Methods: A filter paper contact method was applied with three concentrations (0.05, 0.10 and 0.20 mL/cm2) of each Thai herbal shampoo as well as permethrin pediculicide (positive control) and drinking water (negative control) against eggs, nymphs and adults of Pediculus humanus capitis. Mortality rates of the eggs were recorded after 7 days of incubation while those of nymphs and adults were recorded after 5 minutes of contact. Results: All herbal shampoos at the high concentration were highly effective against nymphs and adults, but not effective against the eggs. C. formosum + eucalyptus EO and C. formosum + citrus EO shampoos at all concentrations exhibited the highest efficacy against nymphs and adults with 100% mortality rate at 5 min and LC50 values of 0.004 and 0.005 mL/cm2, respectively. All formulation of Solanum trilobatum and Moringa oleifera shampoos added with eucalyptus EO showed mortality rates against nymphs at 92.0%-100.0% and 76.0%-100.0% and against adults at 84.0%-100.0% and 20.0%-32.0%, respectively. Permethrin pediculicide was not effective against the eggs, but showed 68.0%-92.0% and 28.0%-60.0% mortality rates against nymphs and adults. Conclusions: These results indicate that C. formosum + eucalyptus EO shampoo can be used as an effective nymphicide and adulticide against Pediculus humanus capitis. Nymphoides is an aquatic genus consisting about 50 species, of which few were accepted as traditional medicinal plants in Asia. The literature review revealed that Nymphoides species are widely used in Ayurvedic medicine as a popular drug, i.e. Tagara. They are also utilized by the traditional local healers of different Asian countries to treat various diseases, like convulsion, jaundice, fever, headache, etc. According to the in vivo and in vitro pharmacological studies, Nymphoides species have been claimed to possess major biological activities like anticonvulsant, antioxidant, hepatoprotective, cytotoxic, antitumor, etc. 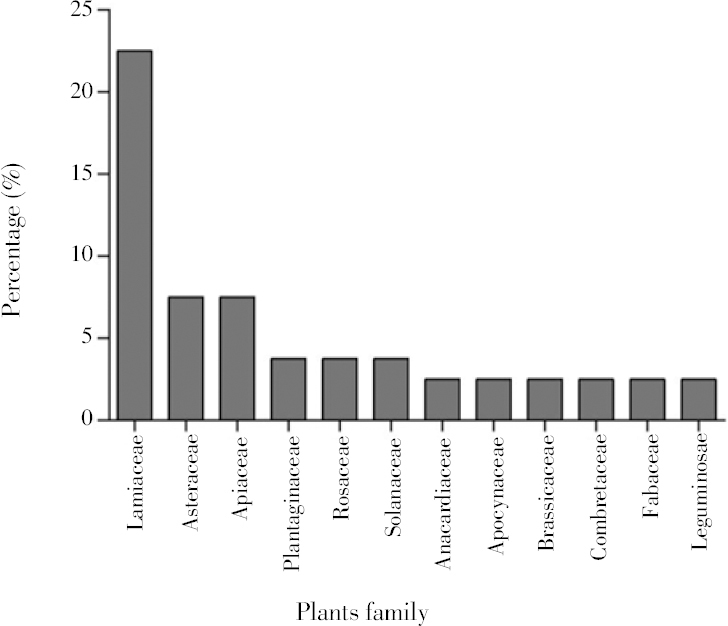 Biochemical profiling of different aquatic plants of this genus revealed the presence of some important phytochemicals as polyphenolic component, flavonoids, triterpenes, carbohydrates, glycosides, etc. Several valuable bioactive compounds including ephedrine, coumarin, secoiridoid glucosides, methyl quercetin, ferulic acid, foliamenthoic acid, etc. were also known to be isolated and identified from different Nymphoides species. The aim of this review is to analyze the published report based on the medicinal values of different Asian Nymphoides species, to provide the updated information about the ethnomedicinal, pharmacological as well as the phytochemical properties for the first time. DNA damage is one of the most important consequences of oxidative stress in the cells. If DNA repair is unable to modify these inducible DNA damages, genomic instability may lead to mutation, cancer, aging and many other diseases. Single cell gel electrophoresis or comet assay is a common and versatile method to quantify these types of DNA damages. DNA damages induced by hydrogen peroxide (H2O2) are one of the proper models for measurement of protective ability of different compounds. So the main aim of this review is to provide an overview about protection ability of medicinal plants and their potential mechanism against H2O2 induced DNA damages. In this review, relevant researches on the effect of medicinal plants on DNA damages induced by H2O2 and possible molecular mechanisms are discussed. It seems that, medicinal plants are considered as therapeutic key factors to protect DNA from consequences caused by oxidative stress. Sufficient in vitro evidences introduce them as DNA protective agents through different mechanisms including antioxidant activity and some other cellular mechanisms. Moreover, in order to correlate the antigenotoxicity effects with their potential antioxidant property, most of medicinal plants were evaluated in term of antioxidant activity using standard methods. This review highlights the preventive effects of herbal medicine against oxidative DNA damages as well as provides rational possibility to engage them in animal studies and future clinical investigations. Diospyros lycioides Desf. (D. lycioides) is traditionally used as herbal medicine against various human and animal ailments in tropical Africa. The present paper reviewed information on botany, medicinal uses, phytochemistry and pharmacological activities of D. lycioides. This review was compiled using scientific literature from electronic search engine such as PubMed, Scopus, ScienceDirect, Springerlink, BioMed Central, Scielo, Medline and Science domain. Additional literatures were obtained from book chapters, books, dissertations, websites and other scientific publications. D. lycioides is used as traditional medicine in 50% of the countries where the species is native in tropical Africa. This study recorded 22 medicinal uses of D. lycioides which included abdominal pains, infertility in women, sexually transmitted infections, and used as chewing sticks (or mouthwash), toothbrushes and ethnoveterinary medicine. D. lycioides extracts demonstrated anti-adhesive, anti-inflammatory, antimetastatic, antioxidant, antifungal, antiproliferative, mutagenicity and antibacterial activities. Future research should focus on the pharmacological properties, phytochemistry, clinical trials and pharmacokinetics of D. lycioides which will enhance the therapeutic potential of the species.